In a home I need walls, roof, windows, and a door that can be opened and closed. I also need a place to cook, a place to eat, a place to sleep, a place for a guest, and a place to write. More space is not better. More space means a bigger house. A bigger house means more hassle, more maintenance, more work to pay for rent, mortgage, taxes, and less time for living. More space also attracts more stuff which eventually means less space. The amount of actual space in a room depends more on personal tolerance for clutter than anything else. Some things make life easier, but more things do not make life more easy. More things mean more things that can break down and more time spent fixing or replacing them. Comfort is freedom and independence. Comfort is having the sweat glands and metabolic tolerance to deal with heat and cold. It is not central heating or air conditioning which may fail or be unavailable. It is not plushy seats but a healthy back. Luxury is not expensive things. It is a healthy and capable body that moves with ease with no restraints because something is too heavy, too far, too hard, or too much. It is a content and capable mind that can think critically, solve problems, and form opinions of its own. Success is having everything you need and doing everything you want. It is not doing everything you need to have everything you want. If so then you do not own your things, instead your things own you. I do not need to own a particular kind of vehicle. I need to go from A to B. I do not need fancy steak dinners, rare ingredients, or someone else to prepare my meals whether it is a pizza parlor, a chef, or an industrial food preprocessor. I need food to live. Food to fuel my body and brain. Luxury is not eating at 5 five star restaurants. Luxury is being able to appreciate any food. Comfort is eating the right kind and the right amount of food. Not whatever I want. Eating and moving right prevents diseases, pains, and lack of functionality. I am what I eat and I look what I do. Everybody is. It is the physiological equivalent of integrity. To say what I mean and mean what I say. This too makes life more comfortable. Money is opportunity. Opportunity is power. Power is freedom. And freedom means responsibility. Without responsibility, eventually there is no freedom, no power, no opportunities, and no money. More importantly, freedom is more than power. Power is more than opportunity. Opportunity is more than money. And money is more than something that just buys stuff. It is simple to understand but hard to remember, but do remember this if nothing else. 34 users responded in " Manifesto "
Amen! I couldn’t have said it better or more succinctly myself! I especially liked the statements about things bringing clutter and maintenance issues. These are things that I’ve just come to realize myself in the last couple of years, and I’ve resolved to start doing something about it by ridding myself of unnecessary possessions and eventually downsizing my house. The most stress free time in our lives, even with 4 little kids, was the two years we spent living in our RV at the beach. Man, that was heaven. Low stress, high enjoyment. Your words ring very true and we can’t wait to sell it all and return to the RV once again! Life was simpler and happier. Easily your best post to-date Jacob, I completely agree! Thank you very much for such a passionate post on your decree. It is obvious the level of dedication you have for your lifestyle and amount of energy you put in logically analyzing each step–very inspiring and contagious! I look forward to exploring your blog further. Absolutely fantastic! This is perhaps the best piece of personal development/ self-actualization writing that I have read in years. Every word resonates with meaning. Fits my present mindset to the T.
Please keep up this great quality of your writing. Simply , hats off! Thank you. Congrats on reaching the 5000 comments milestone! You are full of win Jacob. Re-reading this post at today when you break 2000 followers. Still full of insights. Thanks again for the writing. Love it. I’m in complete agreement with this manifesto. You sir are very wise. Glad to have found your blog. Great manifesto, you’ve actually motivated and inspired me to create my own one. I think having a manifesto to refer to helps you stay focused on your long term goals. 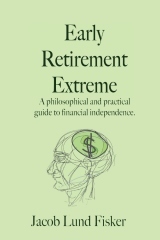 Like you my aim is to retire early and become financially independent. Thanks for sharing the excellent posts and continue with the insightful thinking. Bravo! I love this manifesto, less is more could not be more true in this materialistic world which holds the masses in debt cells. I was in debt and I’m slowly paying it off, I’m making inroads into paying my mortgage off, I’ve minimalized my life and I cant wait until I’m financially independent and ready to retire 30 years before I’m allowed to. Great post. I like what you’ve achieved here. Clearly your happy in your own way. I’m thinking of going down a similar road however it seems that society in general does not condone retiring early and minimizing your life in terms of material consumption. For me it’s hard because everyone I know is expected to work until they retire at 65 and it’s hard to keep positive about it. Your blog really helps. Thanks Jacob. You hear ethical/professional conduct bandied around in the workplace a lot and everybody strives to be fine upstanding citizens in the public forum but what do they do in the quiet of their own homes – well the news headlines tell us. I ALMOST agree with you. The exception would be when, without air, it is impossible to sleep at night. I was in a Bangkok guest house that I really enjoyed, but when the weather got so hot and humid, the fan was not enough to cool me even when I had not even a sheet to cover me and was completely naked.